This fall, with the expansion of OUTW into our new home, we wanted to add a few more services for our beautiful brides. We loved the idea of having invitations and stationary needs available right in our store. We met with The Paper Bride out of Chatham and were so excited to dive in as one of their consultants. There are three reasons we picked The Paper Bride. 1. Because Jenn & Laurie are total sweethearts and real professionals. They love what they do and that shines through from every interaction with them. 2. Their invitations are also totally customizable and we love that about them. Your invitations are your guests first glimpse into your vision for your day. And we feel so honoured to help you create and begin seeing that vision come into execution. 3. Their prices are totally reasonable. Simple invites start at just $1.50 per invite. And you can order as many or as little as you'd like. Need 52 invites? No need to order an extra 20 or 25 invites, we can place the order for 52! Today, on the blog we'd thought we'd walk you through the invitation process. Of course, we have a process for it, because our main goal at OUTW is always to make it as easy and painless as it can be! Figure out how many guests you'll be inviting. When determining number of invitations needed, remember that most guests are couples or families and typically you need roughly half of the number of guests are on your guest list. Determine what your budget is for invitations. 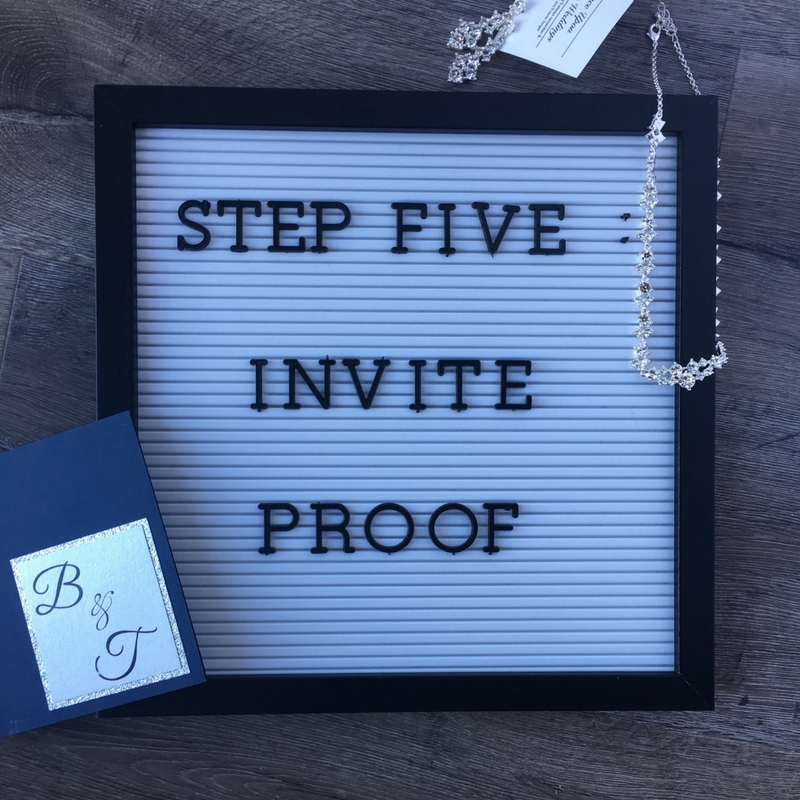 Begin the conversation of what you want the wording to look like for the invitations. 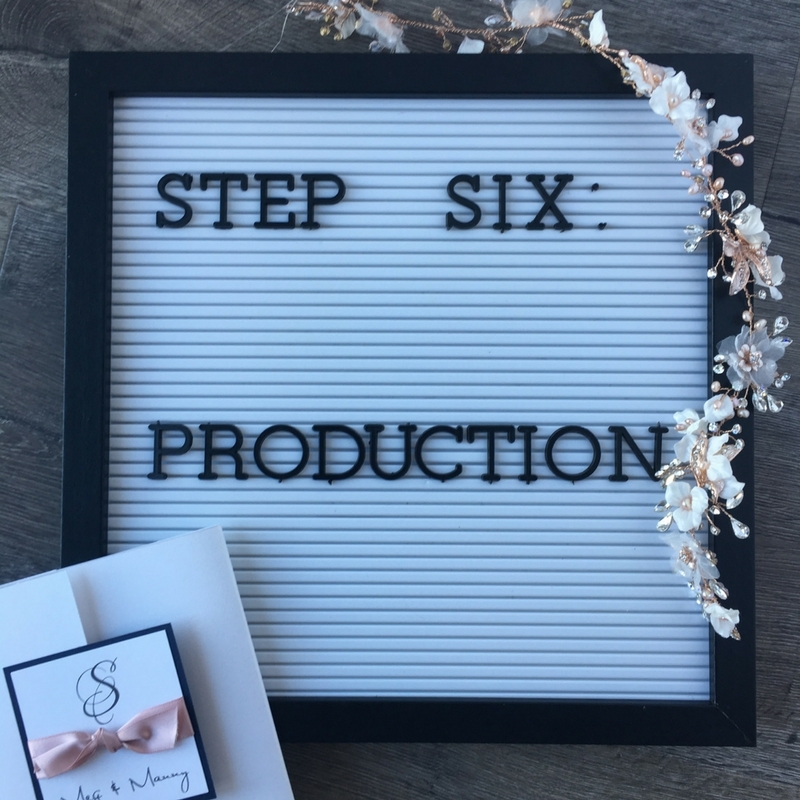 Do you want just your names on the invites, parents names, just brides parents? There used to be a lot more rules to whose names appeared on the invitation, but now a days most couples either put both parents names or no parents names on the invitations. Schedule an invitation consult and come in and speak to one of our stylists. We'll walk you through creating your custom design invitation suite. We have some samples to show you but everything is customizable. We'll help walk you through all the wording and create an order to be submitted to The Paper Bride. We'll send in all your order information to The Paper Bride. They require a 50% deposit to begin layout of invitations. Once your deposit has been paid, they'll begin to layout all the information that we sent them. The Paper Bride will create an invitation proof via email. This will help us catch any errors or spelling mistakes and give you a visual of what your invitation will look like. Want your names a bit bigger or to change the font? One design change is included in your pricing so if you want to change anything in your order, this is your time to do it. If all looks good, we move to the next step. Once we get your approval of the email proof, the The Paper Bride will print and create one invitation for you to approve. Once you sign off this copy, they go to print, so we do suggest you review it carefully and make sure all information is perfect! Once final approval has been given, your invitations will go to production. They will be printed and boxed up for shipping to our store. Production can take anywhere from a few weeks to six weeks. We can usually accommodate shorter orders, just ask! Your invitations will be shipped to OUTW and you'll come in and pick them up. Most of our invitation orders will come as DIY kits, which means you'll assemble them yourself. Don't worry, we'll show you exactly how and you can purchase the tape here for that as well. If you don't want to assemble them, we can price that out for you! Throw them in the mail and you're good to go! Still have more questions? Shoot us a text at 519.319.6623 or an email to info@onceuponatimeweddings.ca. Ready to meet with us? Book an invitation consult online now.